To celebrate the launch of KAWS:HOLIDAY Hong Kong, KAWS is teaming up with DDT Stores to release a set of 20inch Plush Companions this week. From what we can gather from Instagram, there looks to be individual 20inch Companion Plush – in their Grey, Brown & Black colourways (possibly limited to 2000 each) and a Plush set too (no idea on limit size). No details on price at time of writing. International orders will be taken via the DDT Store online site HERE from Mar 21 – 9pm (EDT) / Mar 22 – 1am (GMT) / Mar 22 – 9am (HKT). 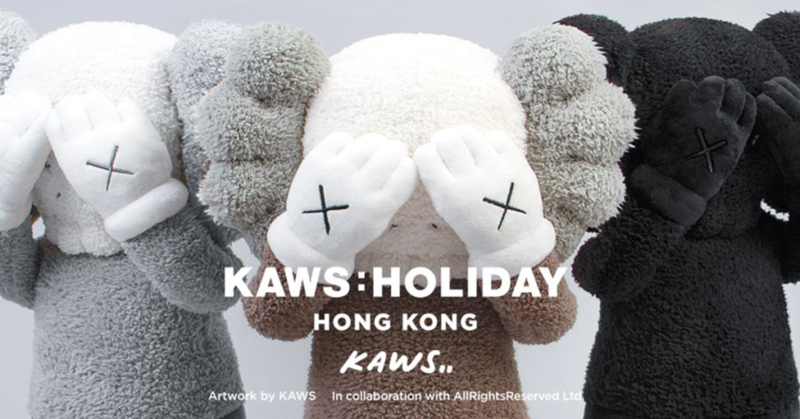 KAWS:HOLIDAY Hong Kong will see a 120ft Companion art installation exhibition in Victoria Harbor, Hong Kong. There will be a bunch of other KAWS related releases at the same time as the 20inch Plush Companion via DDT Stores too. We posted about these last week. Check out the post HERE.